It’s Convention Season! What does that mean? It means I’m going to be spending the next month-and-a-half immersed in comic culture! Yippee! I’ll have a table or booth at each of these events, and be participating in various other activities at each one. And I’ll be blogging about my experiences at each on as I go! First up, this coming weekend, is the lovely little local festival right here in Victoria, BC, at Camosun, my comics alma mater: the Camosun Comic Arts Festival. 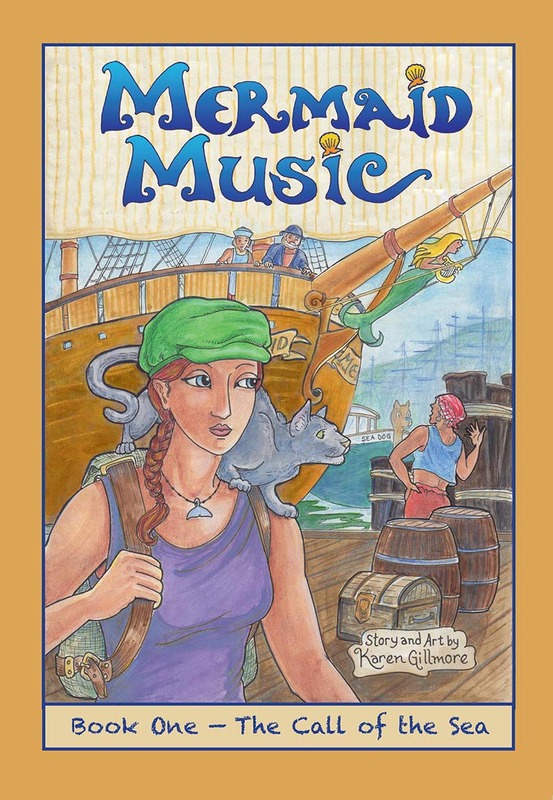 Started by Ken and Joan Steacy five years ago, the year I graduated with the first cohort of the Camosun Comics and Graphic Novels program, the festival has solidified into a much-anticipated local event. I’ve been involved in the organization for the last four years, though I took this year off to address some health issues. But this year I get to be a guest mentor — which means I hang out with some pretty cool comics creators and do portfolio reviews and a forum with this year’s graduating students. I’ll also be part of a panel discussion of all women comics creators. And!!! 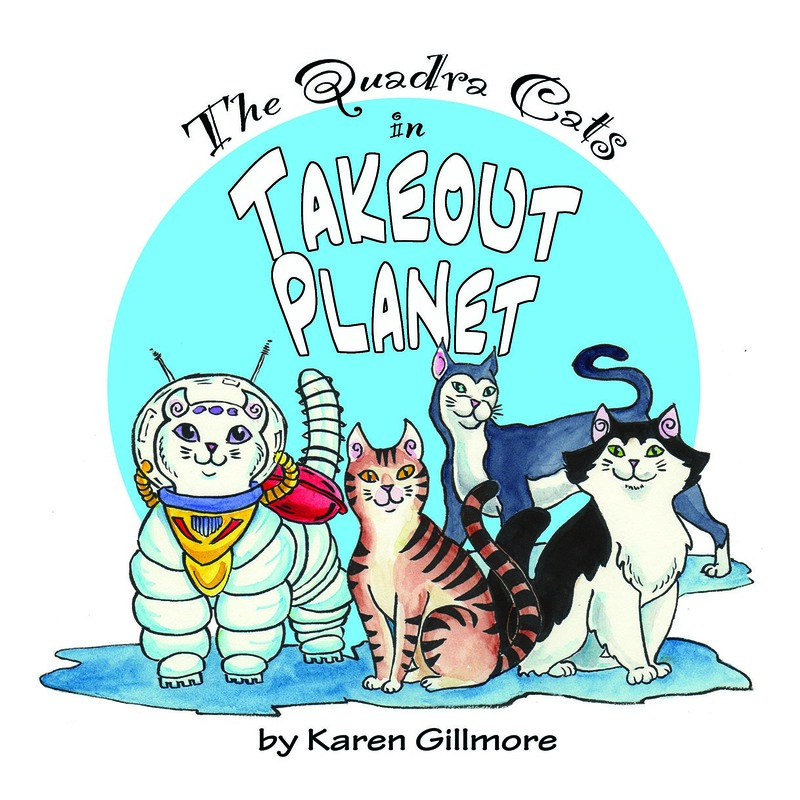 I’ll be unveiling my new Quadra Cats book, Spaced Out. Second on my itinerary, the following weekend, I’ll be a guest at InCON, a gaming convention in Courtenay, BC, which is north of Victoria on Vancouver Island. Full disclosure — I’m not a Gamer, though I had an awful lot of fun when I was in my twenties with the very first version of the Dungeons and Dragons book and a bunch of strange-looking dice! And I do love a good game of Scrabble or Risk — look out, I’m ruthless! But this convention also has components of comics and art, and I was very happy to be invited. I’ll be doing a demonstration and participatory workshop on Saturday morning on drawing animal characters (I expect a lot of kids for this one!) and on Sunday, Ken Steacy and I will be co-hosting a Comics Jam, which is like a jam session that musicians do, with everyone adding a bit to the whole, only on paper. And who knows, I may take up D&D again! From Calgary, I’ll be flying on to Winnipeg, to the Prairie Comics Festival for something completely different! Now, normally, for financial reasons, I wouldn’t fly halfway across Canada for a relatively new event (this is the second year) especially one that will be fairly small, even though I really love the small cons — you get time to meet people and get to know them a bit. However, this is being organized by Hope Nicholson of Bedside Press, whose work I have long admired, and I happened to have enough air miles for the flight. I knew that whatever artists Hope chose to fill the 25 tables (I said this was intimate, didn’t I?) would be fun to hang out with, so I applied and was honoured and thrilled to be picked. Besides having a table there, I’ll be on a panel about doing comic layout — looking forward to showing all my grubby thumbnails and scratchy sketches! After Winnipeg, I’ll be flying home — I had considered carrying on to Toronto for TCAF just for fun, but I decided that there is only so much of me to go around, and I’ll be needing a breather after all this activity! Besides, we have VanCAF right here on the Wet Coast the week after TCAF, and I think having time for a few breaths before plunging off into comics-land again is a good thing. I don’t have a table this year at VanCAF (I’ve had one the last couple of years and they like to rotate their artists) but the event, like TCAF, is well worth going to just for the panels and schmoozing with fellow indie comics creators. Not to mention being within reach of a yummy selection of Vancouver’s amazing eateries. And last on my spring schedule is a brand-new convention just a few kilometres north of Victoria, in Sidney BC. The island is abuzz with anticipation for Van Isle Con, a one day event that we hope will grow and become well-established. This con is on the expo model; there are artists, vendors, and media stars. I’ll be doing an art demo of some kind, but at this writing the details aren’t pinned down. It’s a great location; near the ferries, in a beautiful event centre, right in Sidney’s downtown (which is full of excellent restaurants, bookstores, and thrift shops), and close enough to the water that you can go take a shorefront stroll if you like. Of course I’m going to have to get a new set of shelves (or get rid of some stuff that’s already on shelves) for all the comics I’ll by buying and trading. I wonder if I’ll have the willpower to save some of them to read during a (by then) much-needed vacation to the beach?